It is one thing to be accepted at Hillsdale College. It is another thing to complete the rigors of an academic program and emerge with a Hillsdale College degree. 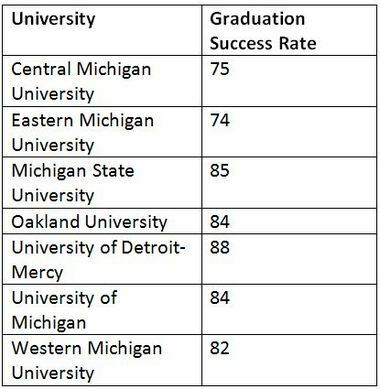 No Division I or Division II school does a better job in Michigan at making sure its athletes leave with a degree than Hillsdale does. Charger athletes are graduating at a 90% clip. 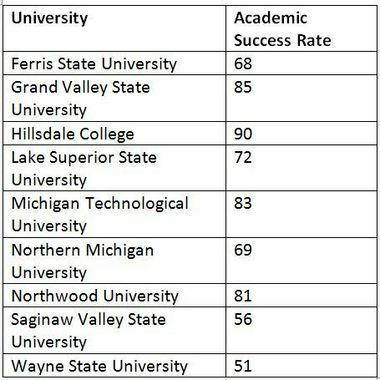 Here are the academic success rate numbers as published in the Grand Rapids Press for both Division I and Division II. Related Article by Brian McVicar Charts from MLive.com.